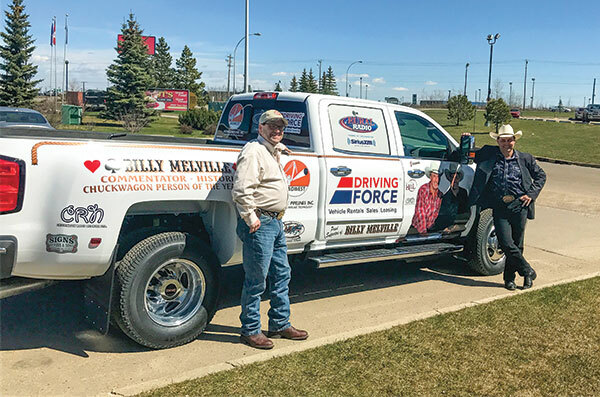 At World Professional Chuckwagon meets and fundraisers you’ll recognize a couple of familiar faces on the side of the GMC Sierra 3500 dually—namely Ron MacLean and Billy Melville. 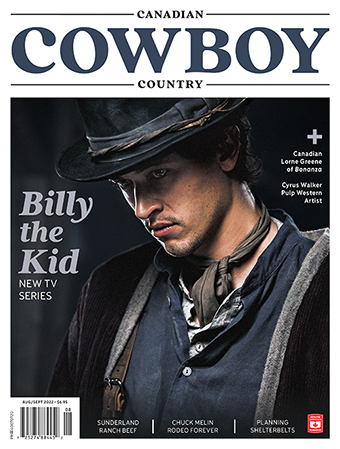 The photo was taken in the Eye in the Sky at the Calgary Stampede Rangeland Derby where each year for 10 days, Billy and Tom Glass are the most popular commentators on CBC Television. As the WPCA’s colour commentator and historian (and Canadian Cowboy Country columnist), Billy was set up in the new rig by Midwest Pipelines and Driving Force, both major sponsors of the WPCA.